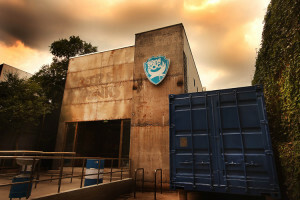 Scottish brewer BrewDog is today officially opening a bar in São Paulo in Brazil as part of the expansion of its estate across the UK and overseas. With a capacity of 140, the new BrewDog Bar features 15 beers on tap, including its own BrewDog beers and WayDog, a session pale ale made by Brazilian brewery Way Beer especially for the bar. It also offers beer-infused hot dogs using a BrewDog Paradox reduction alongside paninis and a Brazilian Cheese plate, with cheeses specially chosen to match the beers on offer. BrewDog co-founder James Watt said: “Brazil is currently the world’s third-largest consumer and producer of beer, so this move was a no brainer for us. There’s an unquenchable thirst for quality beer in the country, and the demand for BrewDog has been growing steadily ever since we started exporting there. The bar, which follows last year’s opening in Stockholm in Sweden, is in Rua dos Coropés in the Alto do Pinheiros district in the west of the city centre. It is the company’s 14th bar overall, with more potential locations being sought around the world, including Tokyo, Berlin, New Delhi, Rome and Brussels.